A two part piece. 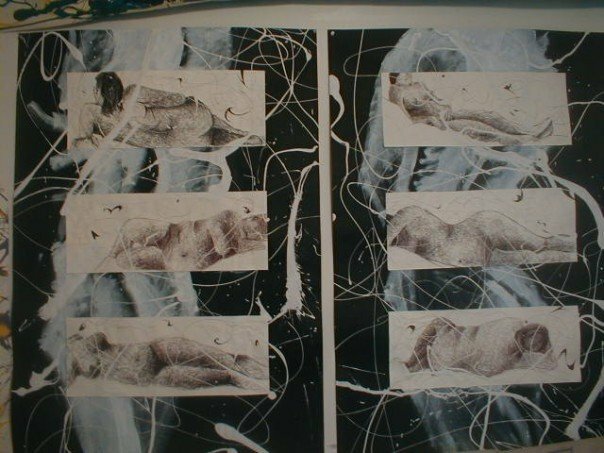 2 abstract lady nudes behind 6 more. Black paper with white latex paint with 6 white papers with ink on them. Each black piece is roughly 2.5' x 4', with each white paper roughly 6" x 12". Showing the flow and shapes of different female body. The white paint sripped goes from behind the smaller paper to on top of it. 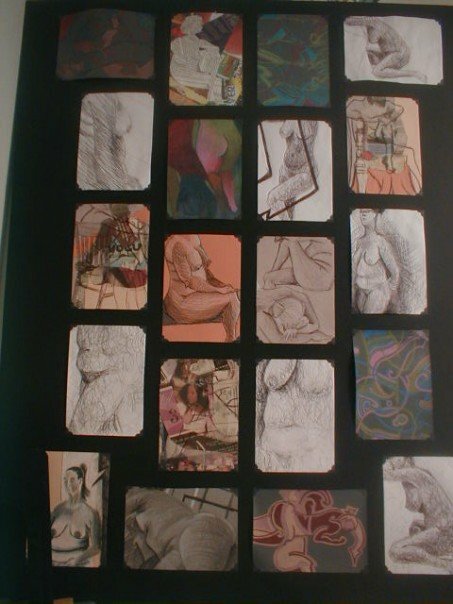 Mixed media with everything from collage, to pen and ink, charcoal, & pencil drawings, and even to colored pencil on sandpaper. Each smaller piece is about 6" x 8" and each piece is able to be moved to another place on the black matboard. All featuring the female body, but in different ways. From the realistic to the abstract. This piece was meant to show the diversity of a woman. 3 18" x 24" pencil & charcoal drawings. A woman figure in the background drawn in pencil with tools drawn in charcoal on top. 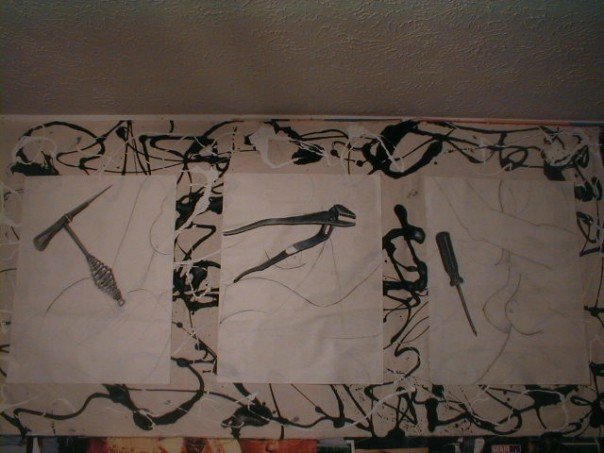 3 papers on top of a roughly 6' x 4' piece of canvas with black and white paint dripped on. Meant to be a little uneasy piece. The contrast between the harsh tools and the beautiful female body was to hard to pass up.